What does the guilty verdict for Paul Manafort and Michael Cohen’s guilty plea mean for President Trump? Will there be more indictments around him? And why didn’t Attorney General Jeff Sessions loyally protect the president? Duncan Levin, an attorney who formerly worked in the Manhattan District Attorney’s office and the Department of Justice, talks with the panel about who else is in danger, impeachment rumblings and more. Meanwhile, another one of President Trump’s earliest supporters in Congress is in legal trouble. Representative Duncan Hunter, a Republican in Southern California, is accused, along with his wife, of using hundreds of thousands from his campaign account for personal expenses. Trey Radel is a former Congressman who was charged with a crime while in office. He tells the panel about the experience and the pressures Hunter may be facing from his party. Finally, Senator Elizabeth Warren thinks she has a solution to all this corruption in Washington—massive changes to lobbying rules. She wants to put workers on corporate boards. Is that socialism, or is it a way to make capitalism work for regular people again? Linette Lopez of Business Insider explains the proposals and jumps into the debate with the panel. 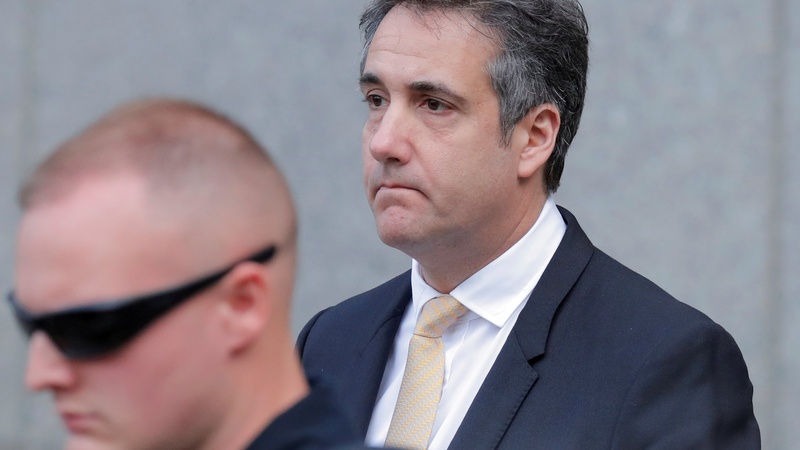 U.S. President Donald Trump's former lawyer, Michael Cohen, leaves the Daniel Patrick Moynihan United States Court House in lower Manhattan, New York City, U.S. August 21, 2018. Photo credit: Brendan McDermid/Reuters.